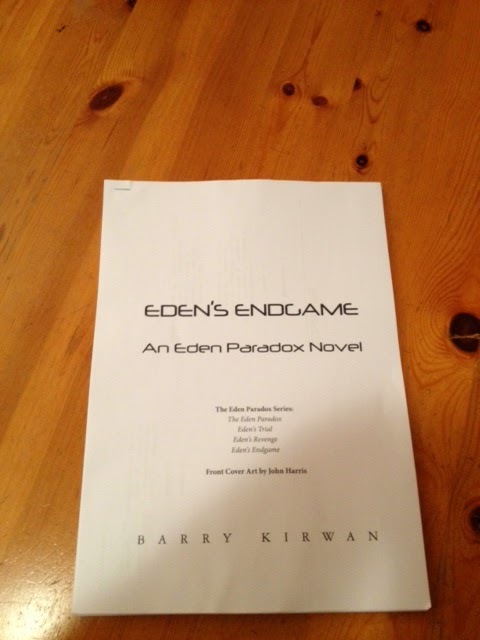 The proofs for Eden's Endgame arrived last night, so I have about five days to read it one last time. It's been through seven reviews already so I suppose I should relax. It's a tricky time, however, as there is always a temptation to change a few things here and there, but there's a danger of making last minute edits that alter the sense and mood built up over the past two years. So, best to read it with arms folded and that red pen just slightly out of reach. In any case, as any author would be, I was thrilled to see it looking like a book, although I've not yet got the full cover and back of the book. One of the aspects I like most is the font used for the front cover, inside page and chapter headings - it's called Neuropol. 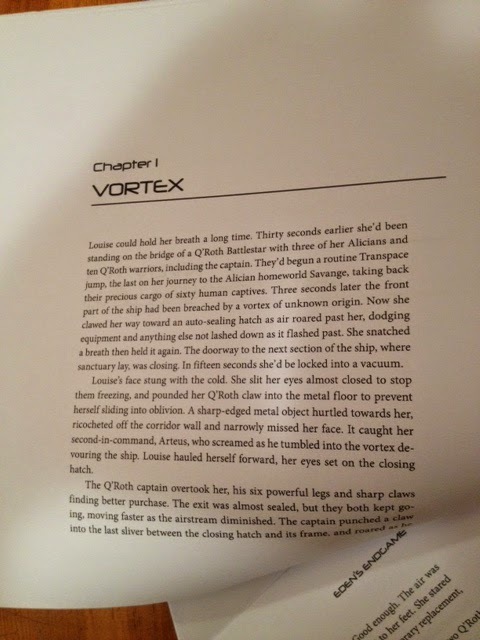 I first came across this font when it was used on the front cover of books 2 & 3 (Eden's Trial and Eden's Revenge), so it is great to also see it inside the book as well. It has a real scifi feel to it. 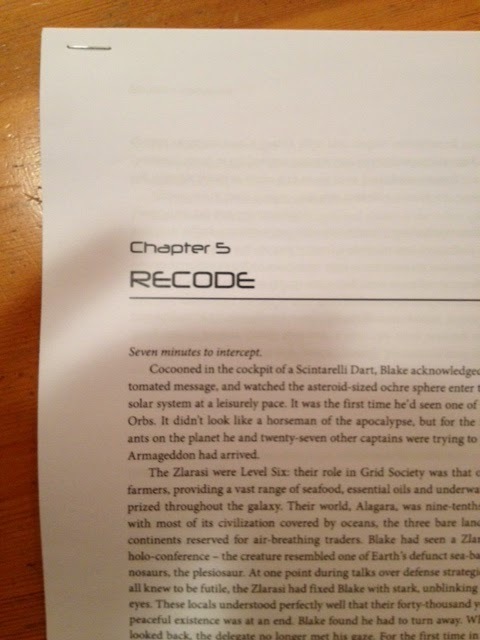 The book is in three parts relating to three characters: the alien being Kalaran, and the two human protagonists Blake and Micah, though there is a strong flavour of Louise throughout the book; in fact it begins with her back story and explains the trigger event that started WWIII back on Earth, before the opening of the first book The Eden Paradox. As usual with this series the plot is multi-layered, following three main arcs: the galactic war led by the alien Kalaran (supported by Pierre and Jen in particular), the defence of mankind's new home Esperia led by Blake and Petra, and the rescue of the hostages from the Alician homeworld led by Micah. Needless to say for those who have read books 1-3, these arcs and the surviving characters intersect toward the end of the book.